Since the demise of local authority Transport and Cycle Forums, Darlovelo has striven to establish regular channels of contact with Darlington Borough Council’s cabinet member for transport and their engineers. We now meet with politicians and officers on an informal basis to discuss progress on making Darlington more cycle-friendly. More formally, Darlovelo regularly consults with Darlington Borough Council on issues of importance to local cyclists, and in particular when new traffic infrastructure is being developed. “Cycling should be the simplest, easiest and most convenient way to get around in most places in the UK and yet the reality is that it’s not – the roads are busy and feel unsafe or unpleasant to ride on and what cycle paths there are seem to take the long way round, or run out just when you need them most. The Dutch and the Danes have demonstrated that it is easy to provide safe, attractive and efficient routes for cycling, away from fast traffic, which anybody and everybody – men and women, old and young, and rich and poor – want to use”. We are also affiliated to Cycling UK, and can offer members of Darlovelo a discount of almost 50% (£25 instead of £45) if they wish to join that organisation as an individual. 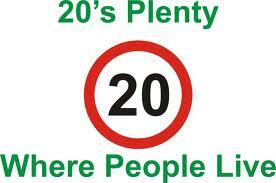 Locally we support the 20’s Plenty for Darlington Campaign, which is calling for area-wide 20mph speed limits throughout the town. Darlovelo is also working on a longer-term project to demonstrate how best practice road engineering can be applied in Darlington. Our ultimate aim is to link up those isolated examples of good, attractive cycling infrastructure in the town, address the more “difficult” points that lie between them, and help create a vision for a genuinely joined-up and attractive cycle network.